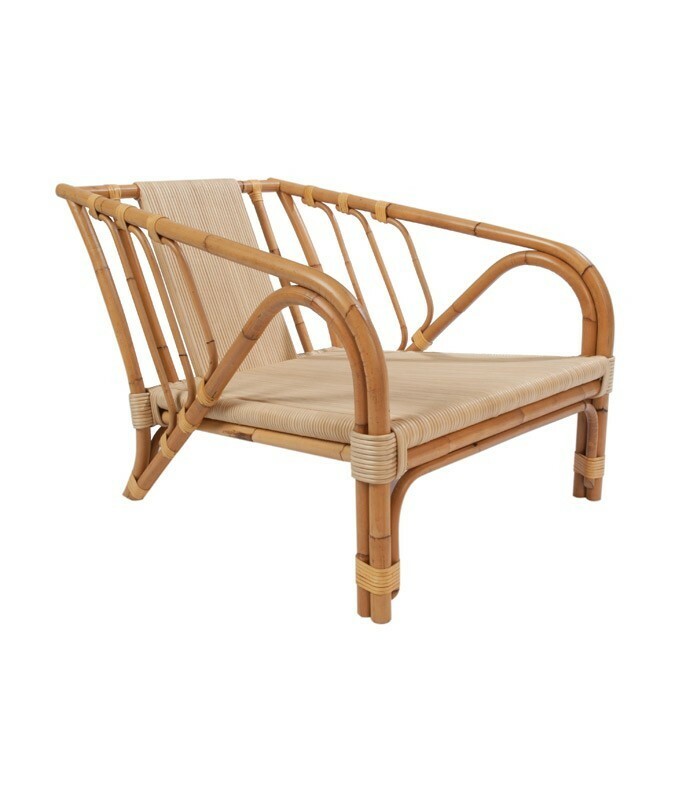 These beautifully designed low slung, deep seating club chair made of natural cane with raw hide strapping details. This Koga series is not designed for outdoor use, but fits beautifully on a covered porch or in a three season room. 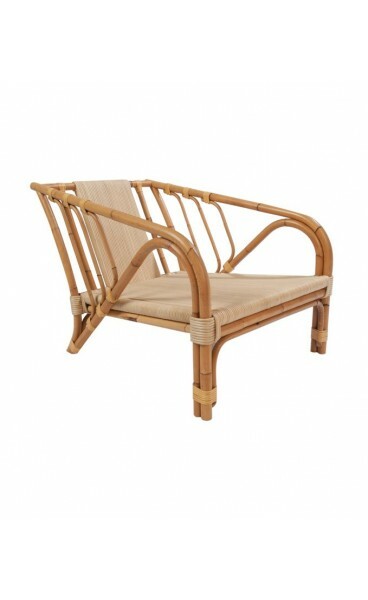 Seat and back cushions not included allowing you to completely design this lovely piece into any room setting.